Well we are up to day 4 of our transportation words of the day week. Today is Ferry which can be 나룻배 or simply 배 in Korean. 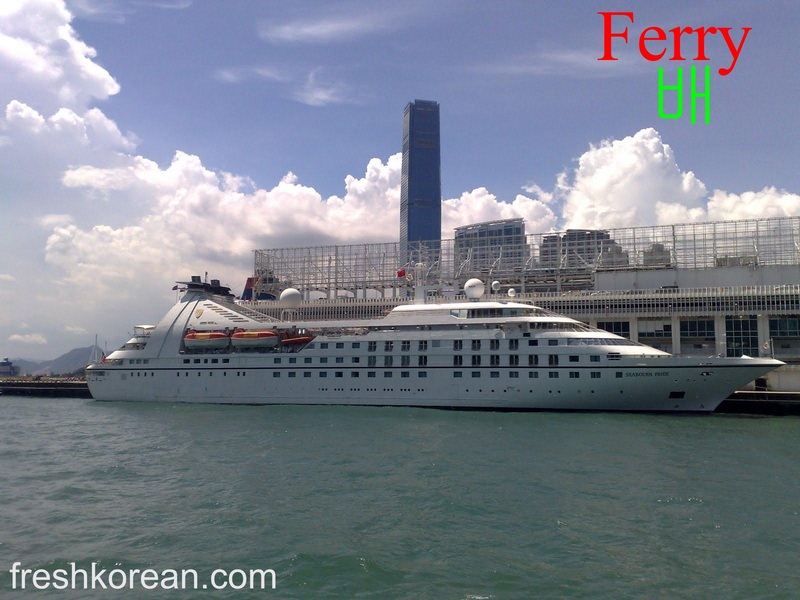 These days in Korea Ferries are mainly used for tourism, visiting small islands just off the coast or even going further away to Jeju-do or even Japan, China and Russia. Please keep your eyes open for our 5th and final transportation related word tomorrow. Thank you. Here is the second installment of our Transportation word of the day week. Today’s word is Bicycle or 자전거. 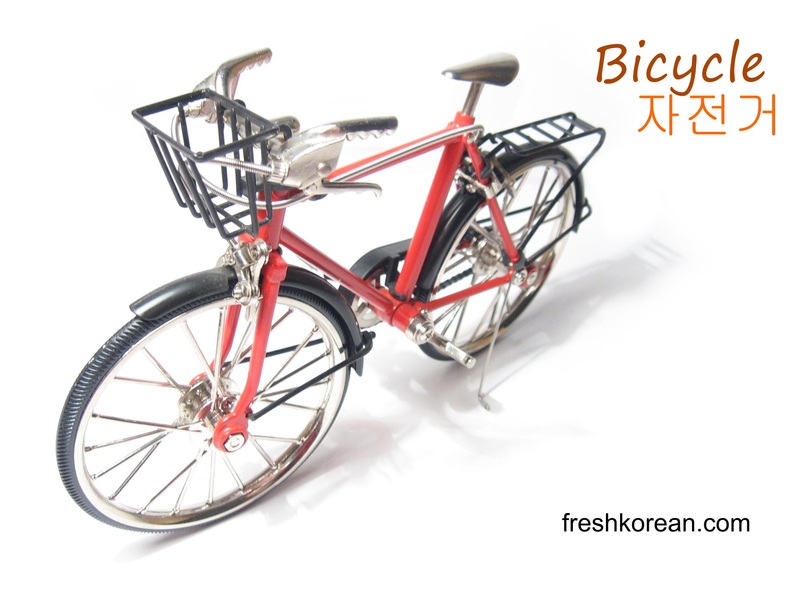 Unlike in Japan and China, there are less bikes used in Korea these days. This is mainly due to the cheapness of public transport and also before of the large number of hills in Korea. That does however make it a great place for Mountain Biking. Thank you for your time today and please come back again tomorrow. 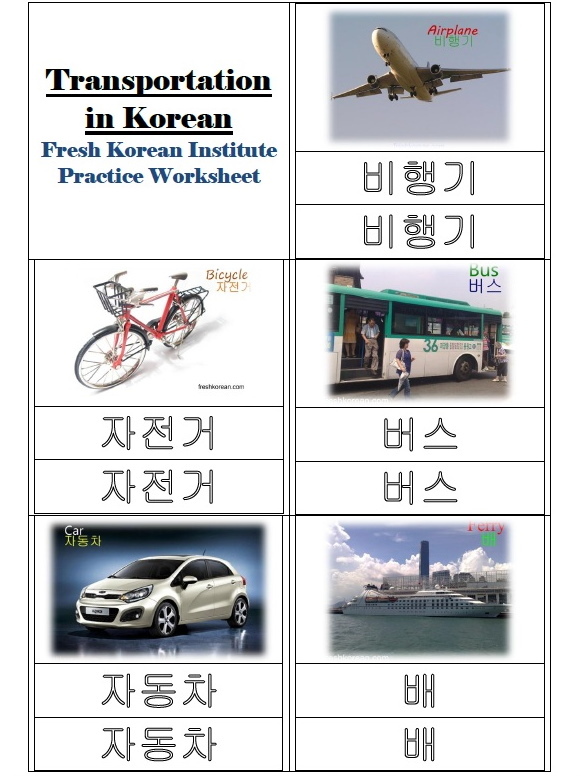 This week we are focusing on different types of transportation, and the first Fresh Korean transportation word of the day is Car or 자동차. Often called simply “차”, there are many different car company producing and exporting Korean Cars all over the world. 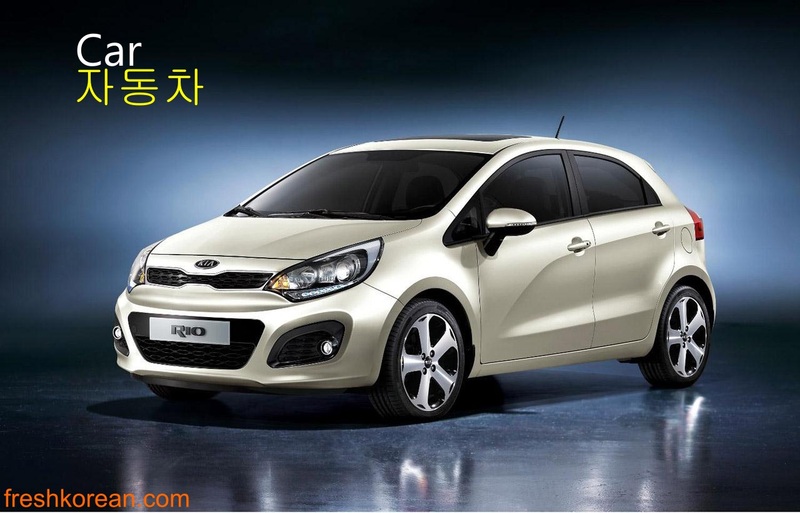 The most famous include: KIA (Pictured Above), Hyundai and Daewoo. Please come back tomorrow for our second transportation related word of the day.